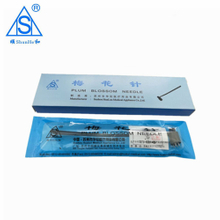 seven star needle, seven star needle Products, seven star needle Manufacturers, seven star needle Suppliers and Exporters - Disposable Acupuncture Needles Suppliers-Suzhou Hualun Medical Appliance Co., Ltd. 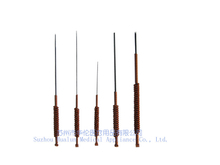 Shun He, as a professional Acupuncture Needles and Supplies manufacturer, supplying different acupuncture needles types, such as Disposable Acupuncture Needles, ear acupuncture needles, auricular acupuncture needles, Electro acupuncture machine, Seven Star Needles，Press Needles, Intradermal Needles, Cupping cups etc, which is specialized in the production of traditional Chinese medicine apparatus class II. 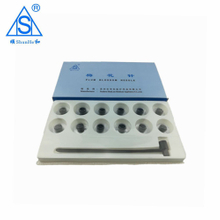 All of our products has achieved the Medical Instrument Registration Certificate which is issued by the Food and Drug Administration of Jiangsu province. 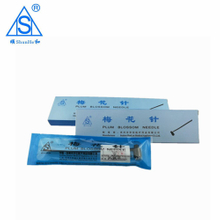 And also, we got the CE certificate and ISO 13485 certificate issued by TUV. Welcome Inquire Now! Have a question or need a sales rep?